PLOT YOUR COURSE. FIND A NEW PATH. OR BLAZE A TRAIL OF YOUR OWN. Ready to hunt for epic waterfall photo ops? Dig into local heritage? 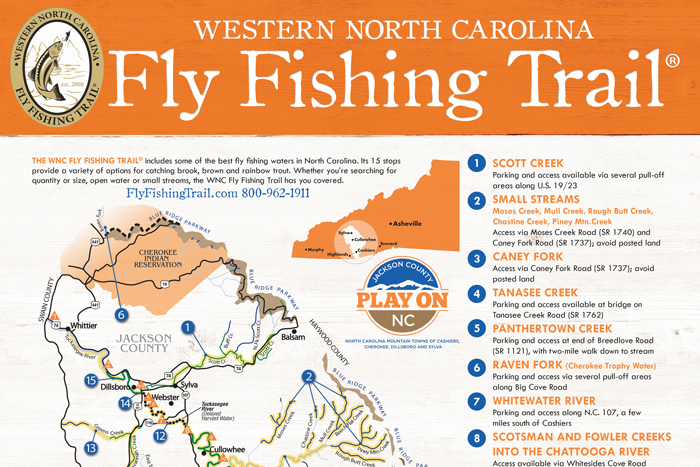 Cast the day away on the Fly Fishing Trail®? Or find the best shopping in Jackson County? We have a map to help. 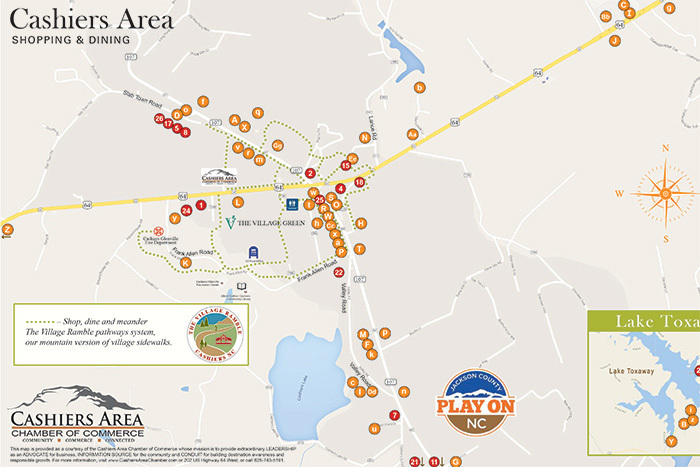 Your next Jackson County adventure is just a download away, so Play On! 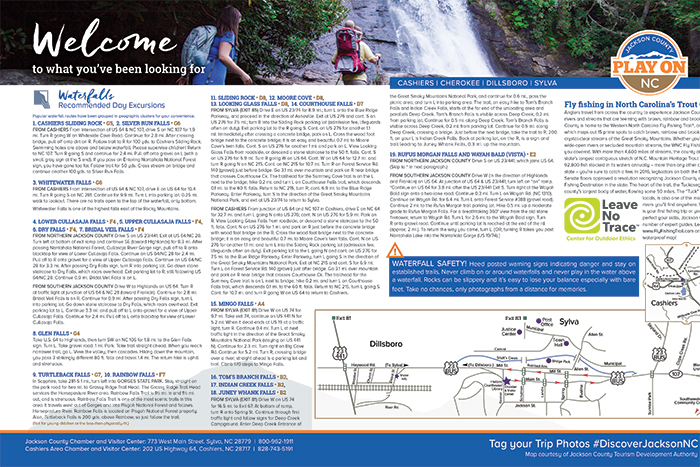 Get outside and play with hikes that lead to breathtaking vistas, waterfalls that plunge into swimming holes, horseback riding trails, and challenging golf courses. 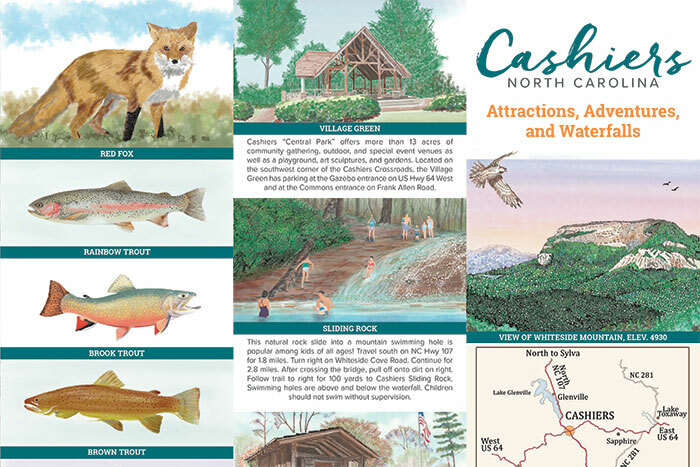 Whether you’re looking to a catch a glimpse of Shadow of the Bear, tour historic sites, or find the perfect waterfall hike, Cashiers is your spot. 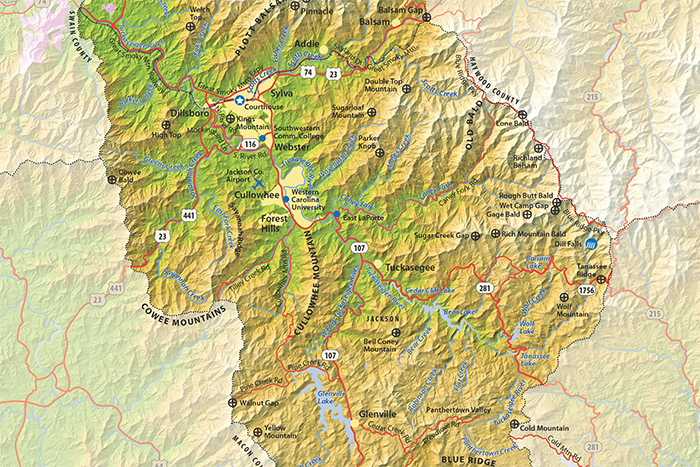 This relief map of Jackson County shows the communities, notable peaks, and features. Flowing almost the entire length of Jackson County, “The Tuck” offers opportunities to fish, tube, canoe, kayak, and even whitewater raft. This map available online only. 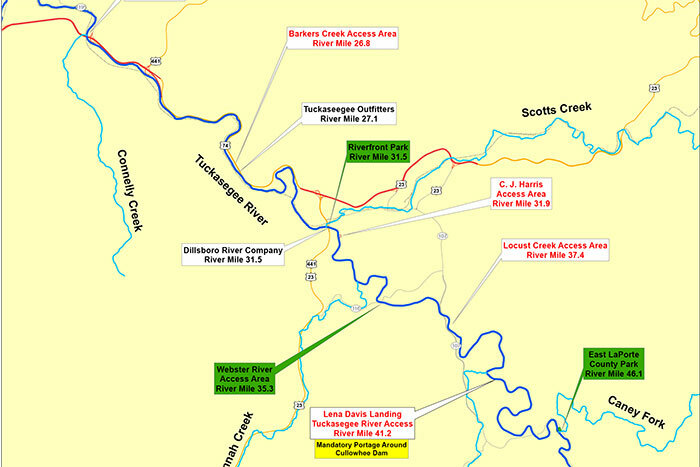 This map of the Tuckasegee River by American Whitewater shares several points of interest along the Tuck along with suggested activities. 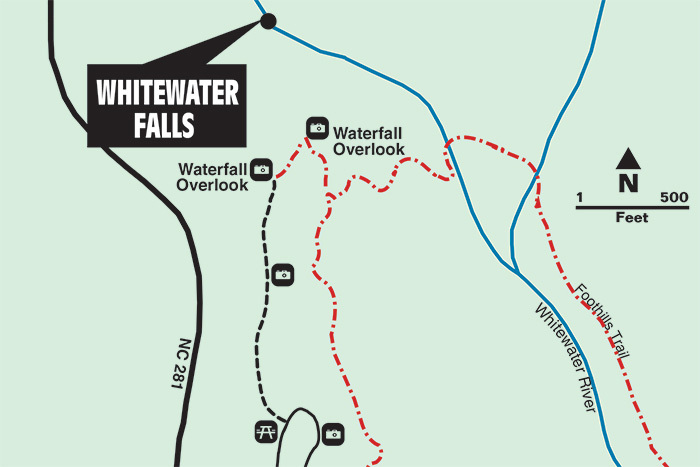 The East’s king of waterfalls, Whitewater Falls cascades over massive rock pillars and drops 411 feet to the river below. This striking natural landmark features a two-mile loop trail, outstanding views, a variety of wildflowers, and rock cliffs reaching 4930 feet. 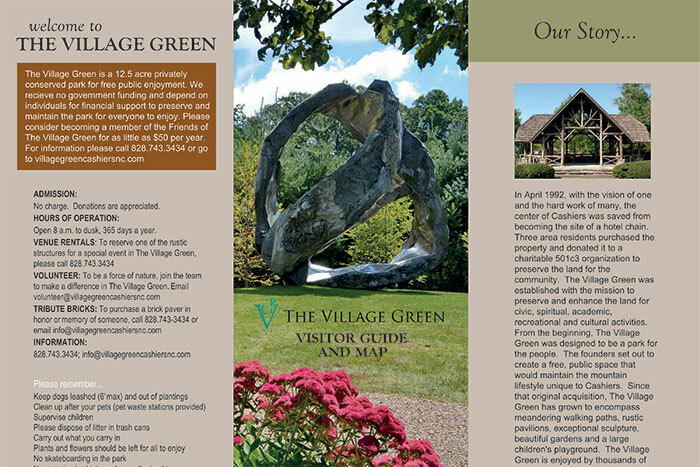 A 12.5-acre park in the heart of downtown Cashiers, The Village Green features eight art sculptures, an expansive play space, gardens, and a wetland trail walk. 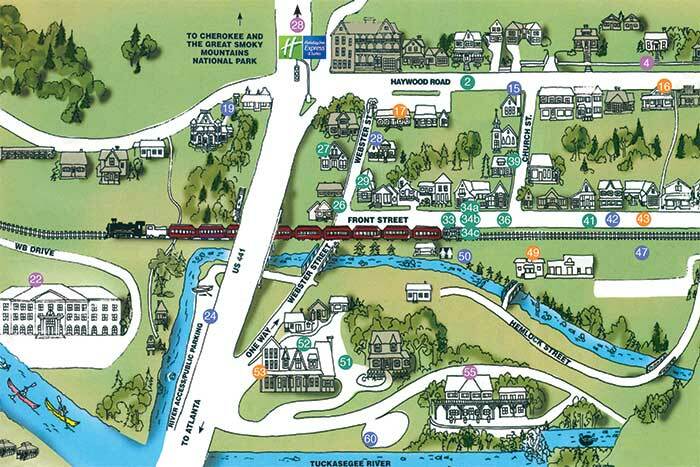 Find the best places to grab a bite, shop for artisanal goods, and spend the night in the historic town of Dillsboro. 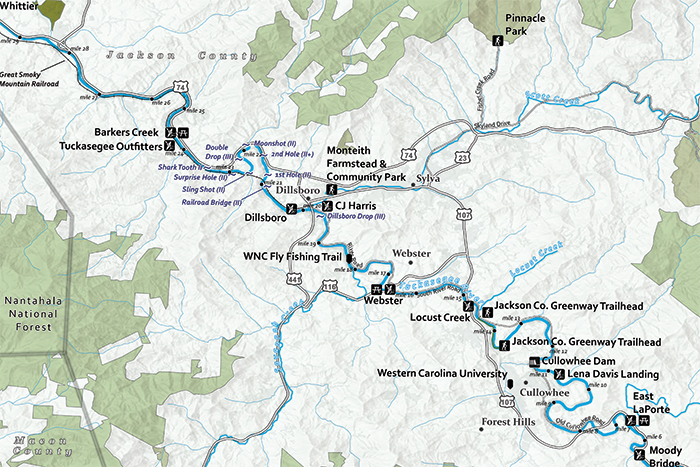 Some of the best fly fishing in North Carolina takes place in these 15 top spots for catching brook, brown, and rainbow trout. 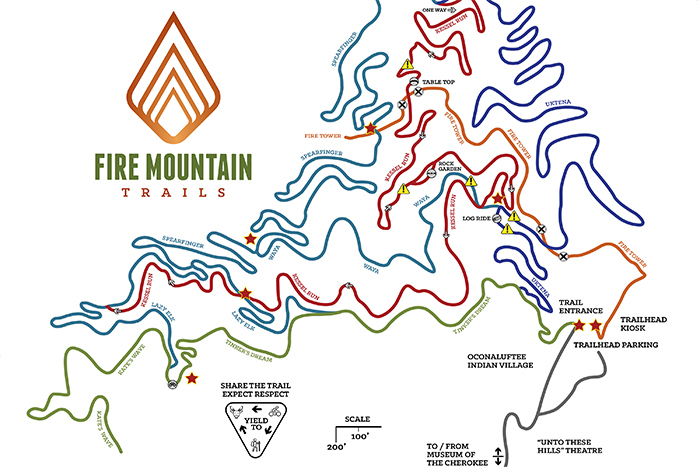 The Fire Mountain Trails are an unparalleled mountain bike trail system of 10.5 miles of beginner-to-advanced routes located near the Oconaluftee Indian Village in Cherokee. They’re only a 20-minute drive from Downtown Sylva. Hold on to your wallets because Cashiers is packed with fine dining restaurants, culinary hot spots, and local pubs, as well as antique shops, high-end boutiques, and artsy galleries. 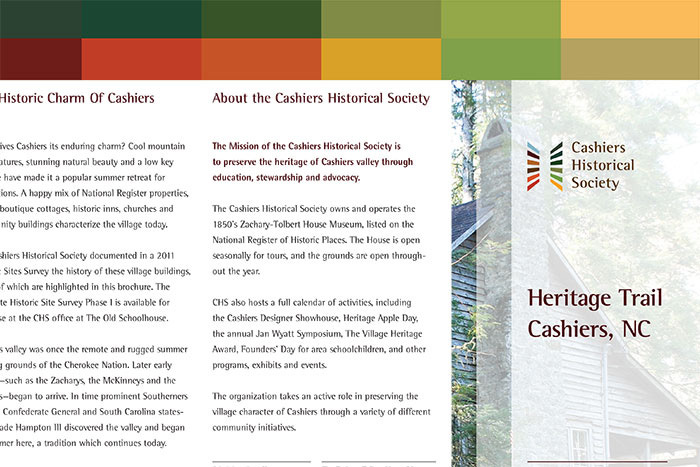 Discover 29 historic homes, inns, churches, schools, businesses, gardens, and government buildings spread throughout charming Cashiers. 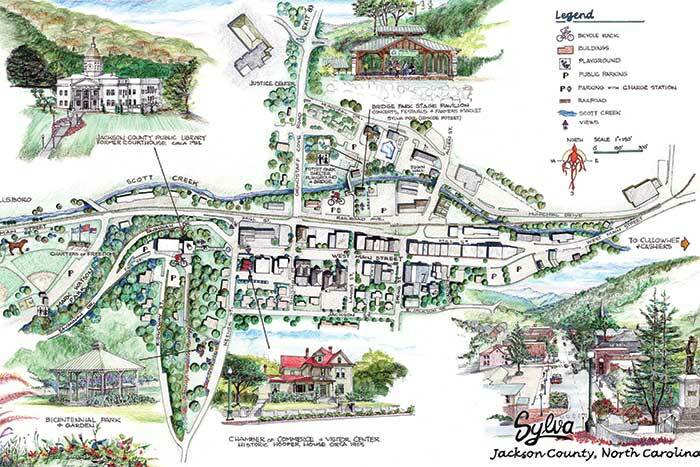 From the Bicentennial Park & Garden to hopping breweries and plenty in between, discover why Sylva is the place where past meets present. 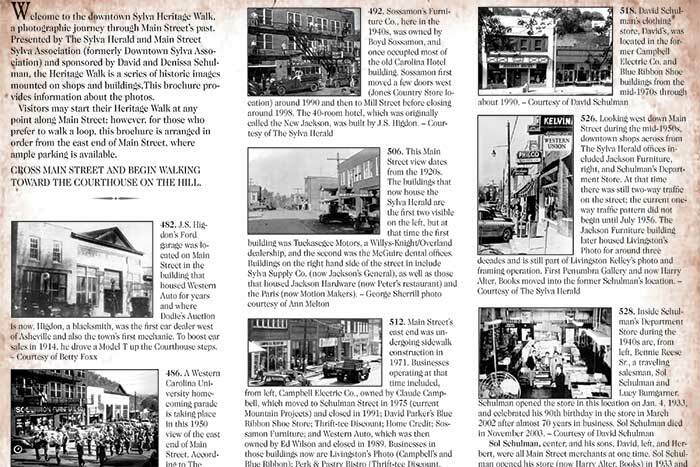 A photographic journey through the past of Sylva’s Main Street, the Heritage Walk features a series of historic images on shops and buildings. 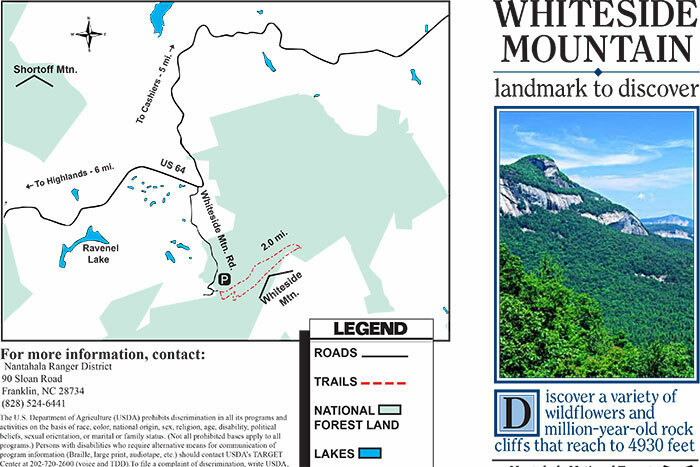 Need a printed copy of a map? Stop by one of our Visitor Centers today!